Ensemble devising can be a daunting prospect for many actors: it requires a level of imagination, commitment and risk-taking not always seen in conventional theatre. 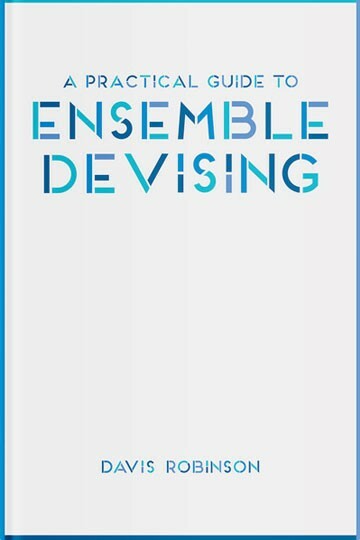 In this handy volume, Davis Robinson uses his wealth of knowledge and expertise, garnered over thirty years of devising, to teach you the ins and outs of ensemble theatre making. A Practical Guide to Ensemble Devising leads you through the process of collaborative theatre, from warm-ups and generating ideas to editing and polishing a performance. It features a comprehensive series of exercises throughout, which will allow you to build the foundational skills required for a range of productive ensemble work. By discussing the work of a number of internationally acclaimed practitioners, Robinson encourages you to develop your own unique style of performance. Lively and accessible, this book is invaluable for anyone interested in developing their devising skills.